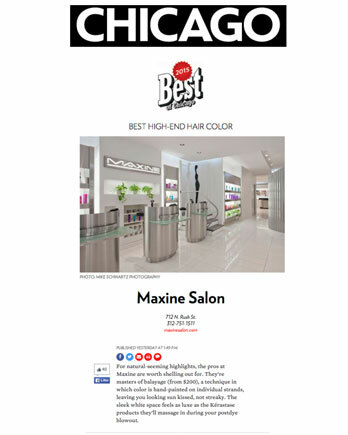 For natural-seeming highlights, the pros at Maxine are worth shelling out for. They’re masters of balayage (from $200), a technique in which color is hand-painted on individual strands, leaving you looking sun kissed, not streaky. The sleek white space feels as luxe as the Kérastase products they’ll massage in during your postdye blowout.